"A day with severe migraine represents a lost day of life." New research reveals the far reaching effects of migraine on millions of Australian lives. New research1 released today exposes the full force of migraine on Australian society and the severe impact it can have on the one in five Australian households2 who are affected. Over a quarter of respondents (27%) reveal they feel powerless about their condition believing it is out of control with six in-ten (60%) of respondents reporting that their 'migraine fear' leaves them feeling depressed or anxious. The findings, from the 'MIA Migraine Impact in Australia' study1 among Australians with migraine, a partnership initiative of Headache Australia and Merck Sharp & Dohme (Australia) (MSD) (which was funded by MSD), paint a bleak picture of life with migraine a condition which affects around three million Australians and is ranked by the World Health Organisation as one of the top 20 most disabling conditions3. 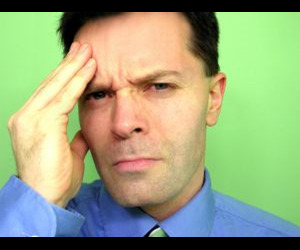 The research1 found that migraine had a profound effect on all areas of life from work to leisure. It impacts both physical and mental aspects of well-being and for the majority (51%) can strike any time. Forty percent of sufferers revealed their condition had caused them to miss out on significant family events and one-in-five (21%) have passed up a career opportunity as a result of their migraine. Even more worrying was the fact that the vast majority (83%) do not see their condition improving in the future1, reinforcing the need for people to discuss their current management with their healthcare professional. Neurologist and Associate Professor Paul Spira comments, "These findings reaffirm the debilitating effect migraine has on the lives of those affected and reiterate the need for effective treatment to ensure the condition is kept under control. "Too few people realise just how debilitating migraine can be. A day with severe migraine represents a lost day of life. In the worst cases lives are disrupted to the point of loss of employment or, in the case of the school child repeated absenteeism with can affect scholastic performance. In the case of a housewife a migraine may result in an inability to pick up the children from school and to care for them at home. Overall this disease may have a profound effect on the sufferer which is unfortunately not always appreciated by the general community," he added. 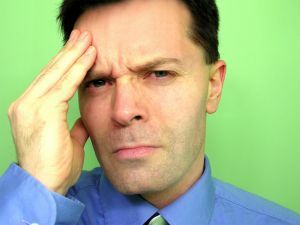 "I strongly encourage any sufferers of severe headaches to consult their GP as there is a range of treatment options which can be employed to alleviate this disabling condition," said Professor Spira. Prof Michael Halmagyi, President of Headache Australia and neurologist, says, "Migraine is so much more than a bad headache and its impact should not be underestimated. Australians who are suffering need to see their GP for an assessment. I'd encourage anyone with migraine to talk to their doctor for management and coping techniques. Arming yourself with a migraine diary or journal can also help people initiate discussion with their doctor." The full force of migraine and its impact is well known by long-time sufferer and mum of one Di Solomon from Sydney, who has lived with the condition for over 20 years. "I think it's really difficult for people who don't suffer migraine to fully appreciate just how challenging life with migraine can be. As I'm so often in pain, it's difficult to keep my life on an even keel. It makes even the simplest of tasks very difficult at times, just to try to be myself and get through the day, trying to have my thoughts together for work and family, and even just trying to appear 'normal'. "My migraine has put severe strain on my relationships, my career, even my social life. It's awful when migraine prevents me from being the best mum I can be, but perhaps even more overwhelming is living in constant fear that I may have passed the migraine gene on to my daughter a gene that's affected more than three generations of women in my family. That for me is even harder to deal with than the headaches," said Solomon. A range of support services are available for migraine sufferers including a new iPhone and iPad application called iManageMigraine which has just been launched by MSD, to help sufferers keep track of their symptoms and learn more about the condition. The free, user-friendly app is designed to help monitor migraine patterns, frequency and symptoms which can then be directly shared with a healthcare professional. Migraine sufferers can also join the national migraine register, an initiative of Headache Australia, which provides a host of information and advice for people living with migraine. Further information is available via www.headacheaustralia.org.au. Over a third of people (36%) change their behaviour, stay at home or limit their lifestyle as a result of their condition. 81% are searching for a better, more effective migraine treatment. 83% of migraine sufferers' find that others confuse their condition with a 'bad headache' either 'all the time' (29%) or sometimes (54%). One in four sufferers (24%) has difficulty discussing their symptoms with their doctor. Self assessment of 'days' lost to migraine in the last 12 months is 21.7 days. A mere 17% of sufferers' expect their condition to improve in the future. 1 'MIA - Migraine Impact in Australia' survey by Stollznow Research, via national online panel, conducted in April 2011 amongst 507 Australians with migraine aged 18-64. The MIA survey was developed as a partnership initiative between Headache Australia and MSD. The survey was funded by MSD. 2 Headache Australia. Prevalence and cost of headache. Available at http://headacheaustralia.org.au/whatis- headache/11-prevalence-and-cost-of-headache. Accessed 18 April 2011. 3 World Health Organisation. Headache Disorders Facts Sheet. #277. Available at: http://www.who.int/mediacentre/factsheets/fs277/en/. Accessed 18 April 2011. 4 Headache Australia. Available at http://headacheaustralia.org.au/headache-types/17-migraine-a-commonand-distressing-disorder. Accessed 27 April 2011.